Try Scuba Diving. With a Try Dive you can experience the thrill of breathing underwater and try out the kit in the safety of a swimming pool. If you have never dived before, a Try Dive offers an easy introduction to the sport at minimum cost. You will spend around 45 minutes with one of our friendly, experienced instructors, all equipment provided. Your instructor will introduce you to the equipment, safety procedures and some basic underwater hand signals before entering the shallow end of the pool. 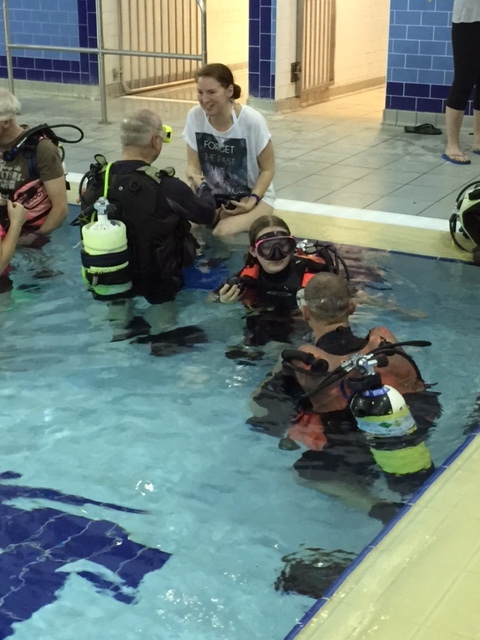 Once kitted up and in the water, you will learn how to breathe underwater and adjust your buoyancy, before having fun and swimming around the pool under your instructor’s supervision. You will have the opportunity to ask any questions to ensure you are comfortable throughout your experience. This scuba experience is available to young* and old. Being a physical sport, we will ask you to confirm that you have no medical issues before taking part. Just bring along your usual swimming costume and a T-shirt for your comfort in the pool, we supply everything else. You will also have a chance to meet club members and find out how to become certified as an SDI Open Water diver. *minimum age is 16, a parent or guardian will need to be present if under 18. Please contact us to arrange a try dive. Gift vouchers are also available if you wish to treat someone else to the experience. A Try Dive does need to be booked in advance, if our current date does not suit you, please see our news page for details of our next event or get in touch to see what we can arrange. Open Water Diver is our comprehensive entry level qualification available to those over 16 years of age. Once complete you will be able to dive anywhere in the world to a maximum depth of 18 metres. Training with our experienced instructors in a supportive environment, at a pace to suit you, they will regularly check on your progress. Our club instructors are all volunteers keen to pass on their knowledge and experience to new divers. The course has three main elements: in the pool, online theory and in open water, in addition there is lecture session to further support your learning. Pool Training consists of organised weekly training sessions in a 3 metre diving pool, in small groups with a club instructor. All training is performed at your pace so if you need a bit longer to perfect a specific skill, then it really isn’t a problem. Starting with a basic swimming test and snorkel skills, followed by training to develop your diving skills, you will then move on to simulate what a dive in open water will be like, including buddy checks and dive planning. These sessions are held over 8 weeks from 8pm on a Wednesday evening at Leatherhead Leisure Centre. While you are learning in the pool there will be online training to work through. This gives you background information which will complement the practical skills and knowledge you are gaining in the pool. This self-study can be completed at your convenience with no deadlines imposed. Once all the elements of the pool skills and online theory have been completed you will move onto the Open Water part of the course. This stage enables you to practise and develop the diving skills that you have learned in the pool, in the environment of open water. These sessions generally take place over a weekend at a local fresh water dive centre, Wraysbury, which is near Heathrow. You will complete 4 or more, open water training dives under supervision of your instructor and learn practical lessons that can only be gained through real-world experience in open water. Once you have passed your Open Water Diver course we will support you with your first sea dive, this is often from the club RIB. Pool sessions can be completed in a swimming costume and T shirt or wetsuit if you have one. You will need a correctly fitting mask*, fins and a snorkel. You don’t need to own dive kit to complete your training. We have a number of sets of dive kit which we rent out - this includes regulators, cylinders, jackets and dive computers. For Open Water training you will need to purchase or hire a semi-dry suit as the water is generally colder than the pool, in addition you will also need personal diving insurance. If you want to purchase your own dive equipment early on, we are happy to provide advice and members are often able to let you ‘try out’ their kit so you can see if a particular style or manufacturer suits you. *Please seek advice before purchasing a mask so that we can provide guidance on how to ensure correct fit. For new trainee enquiries please contact us for training dates and costs. Once qualified the opportunity is there for further progression. 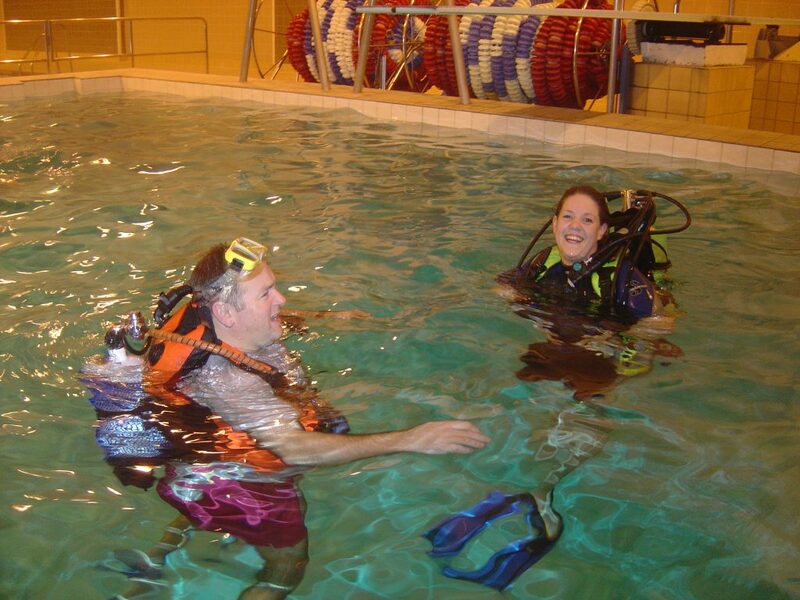 Some of our most popular courses include Adventure, Deep Diver, Dry Suit diver, Nitrox and Rescue Diver. If you already hold a recognised diving qualification you will be welcome at Mole Valley Sub Aqua Club. You can just dive with us to your current qualification, or you may prefer to cross over to Scuba Diving International (SDI) and develop your existing skills. If returning to diving, our Inactive Diver course is a perfect refresher so you can enjoy your next dive with confidence and ease. You do not need to take any specific cross-over training to dive with us to your current level. We’ll ask to see your current qualification, discuss your diving history and may ask you to do a shakedown dive with and instructor – most likely at an inland site.See our News page for upcoming dive trips or contact us for information on membership costs and benefits. A diving club is an excellent place to develop your skill as a diver, learn from other experienced divers and take part if further training. Within the club there are many levels of diving qualification on offer, an outline of some of these is below. Open Water Diver allows divers to dive to a maximum of 18 metres. This is equivalent to PADI Open Water or BSAC Ocean Diver grades. We often dive wrecks in the UK at depths greater than this and therefore divers choose to advance their qualifications. Advanced Adventure Diver provides a taster of other courses from Deep, Navigation Diver, Boat, Drift, Wreck, Computer Nitrox, Dry Suit and Advanced Buoyancy. It provides a depth qualification down to 30m. Rescue Diver develops your knowledge and the necessary skills to effectively perform diver rescues and assist and administer first aid. After the Rescue Diver Course students can enrol in the Master Diver course or start in the teaching ranks with an SDI Instructor course. 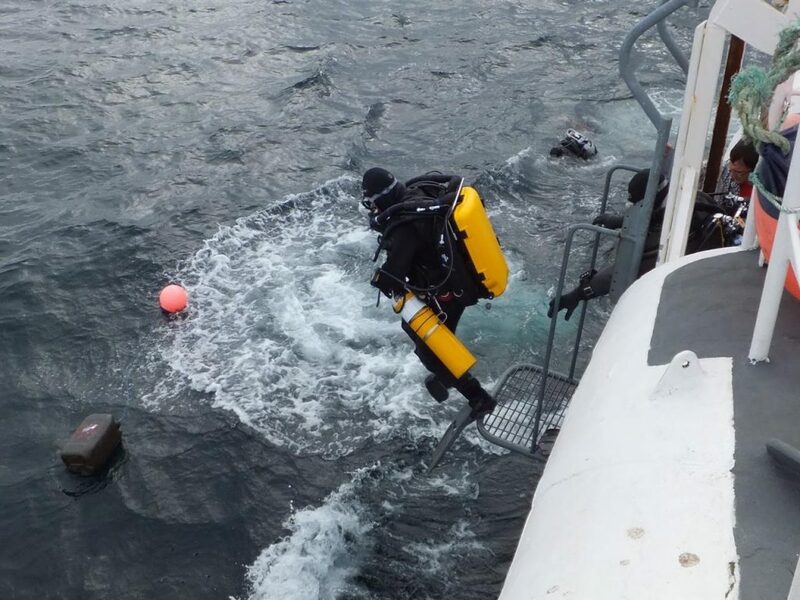 Alongside these qualifications we also offer specialist qualifications such as Dry Suit Diver, Nitrox Diver, Deep Diver and many more. We can also arrange further training through Technical Diving International (TDI), which specialises in the more advanced disciplines of dive training such as mixed gas and rebreather diving. For training enquiries please contact us for training dates and costs.